Novelty decorative reversible denim pillow featuring embroidery designs Urban Threads and Special Touch Embroidery. 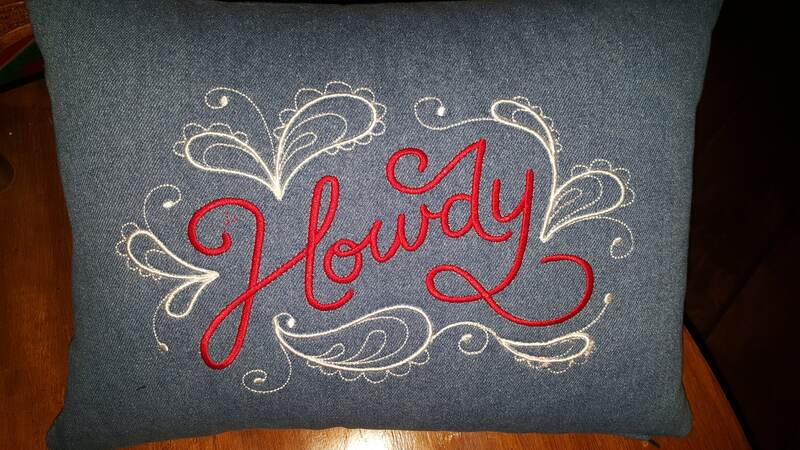 The front of the pillow is composed of blue denim embroidered with the design "Howdy" in red and white rayon embroidery thread. 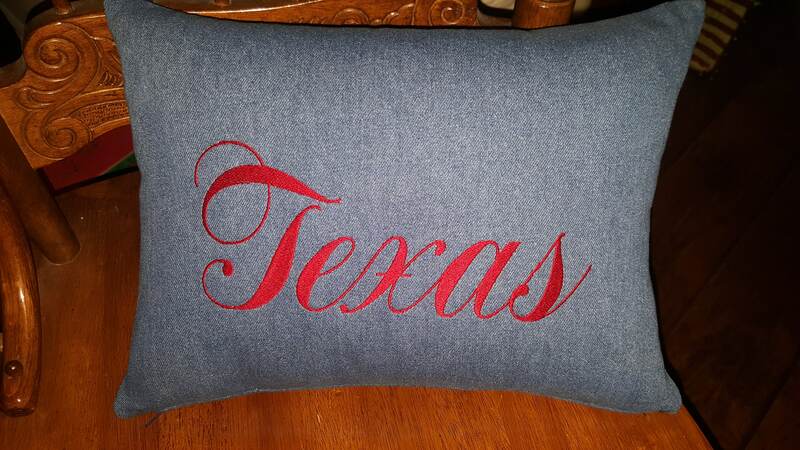 The reverse side of the pillow is embroidered on blue denim with "Texas" design by Special Touch Embroidery with red rayon embroidery thread. The pillow measures approximately 16 inches wide by 12 inches tall and includes a zipper closing located at the bottom of the pillow for removal of pillow form for ease of cleaning. Pillow form consists of polyester fiber. Special Touch Embroidery suggests spot cleaning of item with a mild detergent and air drying to protect embroidery. Since all of our products are made to order, please allow 7 to 10 days prior to shipping. All of our products are sent USPS Priority Mail unless otherwise specified by shop or requested by buyer.